I'm training for next year's Austin Marathon, on February 14, 2010. This will be my fourth marathon, having previously completed Motorola Austin/2004 (4:12:15), Freescale Austin/2006 (4:08:27), Marine Corps WashingtonDC/2007 (4:49:26 -- with ankle sprain). Since I didn't have a blog at the time, I never posted a race report. I did write one for each of those races. I'll post a retrospective on each of those races here. 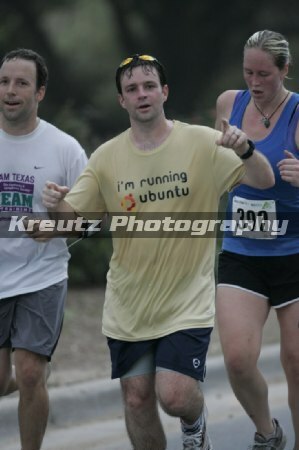 If you're interested, you might subscribe to my running tag, as I probably won't post those to Planet Ubuntu. 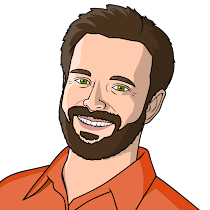 If you're interested in the results, I completed the 10 miles in 01:28:40 (that's an 8:52/mi average). I was shooting for a 9:00/mi average, so clearly I was pleased with the result! Way to go, Dustin! We met at Austin Cloud Camp and talked about the technical shirt (where can I buy one?). I'm running the Austin Marathon as well. I'll look for you there.